Villains beware there is a new superhero in town. He has not chosen his name yet, but it will probably be something like Super Awesome Man. Or, or maybe Coolest Dude Ever Man, he is still working out the kinks. He knows the possibilities are endless and ready for any villain to challenge his awesome skills. Some day they will even make a comic book out of his adventures. Not to mention a movie will eventually make it to the market also! Your little one can be just like him in the Deluxe Child Red Superhero Cape. 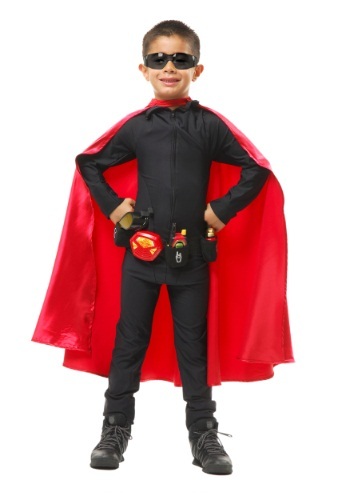 The 100 polyester satin cape is a stunning addition to any hero costume. The cape measures 32 inches long and fastens with a button-loop at the neck.